MARCH 13, 2013 (VATICAN CITY) — Having a bird’s eye view on history is not all it’s cracked up to be. When white smoke billowed forth from the Sistine Chapel’s chimney, I was atop the colonnade of St. Peter’s Basilica. At least 100,000 people in the square below had waited hours in the rain and 40-degree weather (single digits in Celsius) for hours in anticipation of the conclave’s decision. This was the second day of balloting. Thousands gathered in front of the basilica yesterday after the first round of voting for the new pontiff. They didn’t expect white smoke, so when black appeared, they merely groaned and turned to leave. This evening was different. The crowd had swelled to near capacity. Indeed, it was nearly impossible to make my way through the crowd, so I walked the perimeter of the square in order to get to the creaky temporary elevator set up to bring the press to the vantage point above the square. After 30 minutes of picture-taking, I had a sense that history was about to unfold. That was confirmed when I looked at my rain-spattered watch. 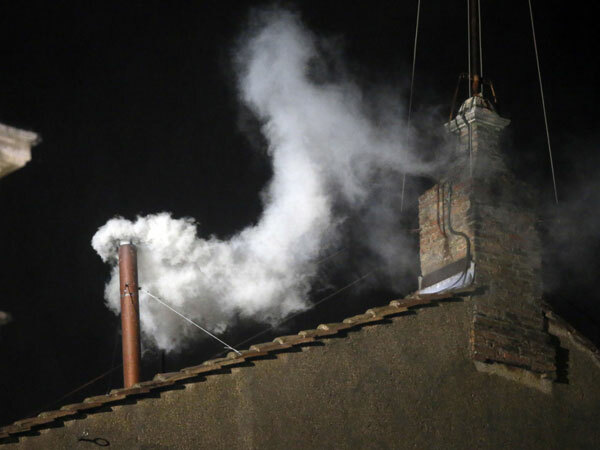 The Vatican had posted times for the smoke-watchers to fix their gaze upon the chimney. Today’s smoke was supposed to have risen at 7 pm. All of the previous burnings had been early. It was 7:04 pm. Something was up. Being on top of the colonnade put me at a serious disadvantage over television viewers who could see multiple angles (including the chimney) and those in the square who had full view of large screens, many of which are now permanent fixtures in the square. So when the crowd burst out in shouts of joy and applause a few minutes later, I knew history had been made! Seconds later, the basilica’s bells began to ring — one of them just a few meters above me. Within 20 minutes, a Swiss Guard brass band, followed by an Italian military band marched into the square below. The clock ticked. At times the minutes felt like hours. The photographers who were perched along the colonnade and the thousands below watched the basilica for any sign that might indicate the announcement of our new Holy Father. Some in the crowd burst into song, others clapped. Thousands of camera flashes popped. But everyone shivered. At time the rain appeared to have turned to snow. My gloveless hands were numb. A videographer from the Archdiocese of Madrid, Spain, was busily checking her smart phone. “It’s Cardinal Scola,” she said, referring to the archbishop of Milan, Italy. “His twitter account is gone. It has to be him.” I had my iPhone with me, but using my thumbs at this point was useless. Too cold. Minutes later, she said, “Bergoglio? Who is Cardinal Bergoglio?” No one knew. A few clicks on her phone and she answered her own question, “Ah! Argentina!” The crowd was cheering, so we knew the announcement was imminent. Then, about 75 minutes after the white smoke, red-clad cardinals began coming out onto the balconies beside the center loggia where the new pope would be introduced. The doors of the loggia at the center of the basilica opened. The crowd exploded! Even the often-jaded media folks around me were smiling. “Habemus papem!” said French Cardinal Jean-Louis Tauran. I could see a lot of red, then the man in white. I had a great view–better than most–but I was still 80 meters away. 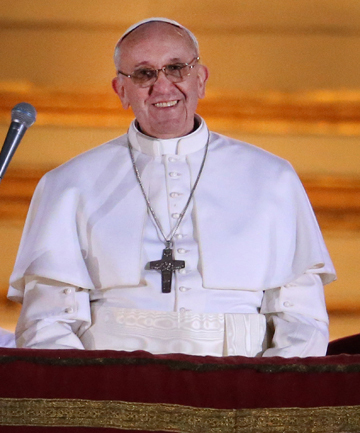 “Brothers and sisters, good evening!” he said in perfect Italian to the roaring crowd. “You know that the duty of the conclave was to give a bishop to Rome. It seems as though my brother cardinals went almost to the end of the world to get him. But here we are. I thank you for your welcome. The diocesan community of Rome has a bishop. Thank you! I remember telling a coworker, when John Paul II was ailing in the late 1990s, that whoever succeed him would have to be incredibly humble. Benedict XVI was among the most humble of men. Francis is cut from the same cloth. It’s to be expected. Humility and sanctity go hand-in-hand. There will be tremendous analysis and scrutiny of this new pope in the days ahead. Is he liberal or conservative? A reformer? An outsider? Will he reform the Roman Curia? What really matters, though, is holiness. I don’t think we will be disappointed. The longtime archbishop of Buenos Aires is the son of middle-class Italian immigrants and is known as a humble man who denied himself the luxuries that previous Buenos Aires cardinals enjoyed. He often rode the bus to work, cooked his own meals and regularly visited the slums that ring Argentina’s capital. The papacy doesn’t seem to have changed him. After his introduction to the world last night, the Holy Father declined a ride in the papal car. He instead hopped the bus to the residence in the Vatican Gardens where he had been staying with his brother cardinals over the course of the last week. Francis has come to the Vatican! Viva il papa! 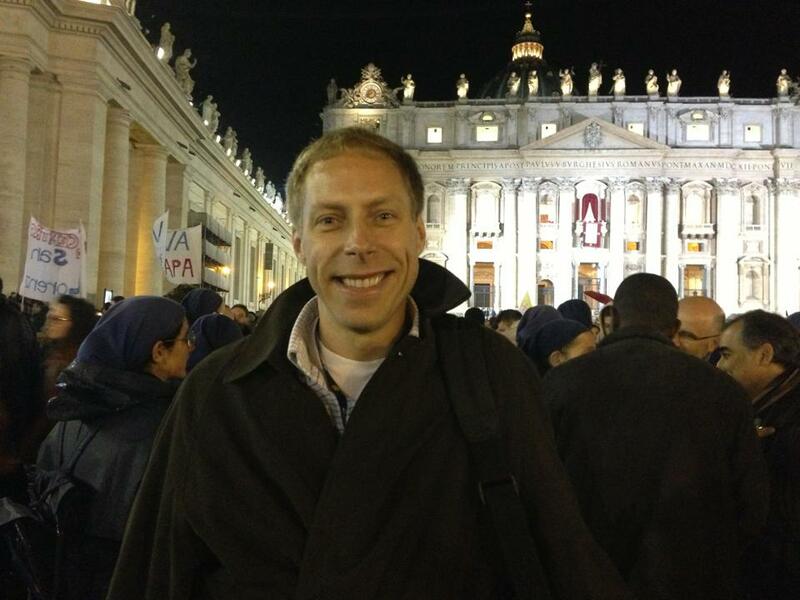 PATRICK NOVECOSKY is the editor of Legatus magazine and this blog. ← Black smoke. No Pope.